1. When is the Town Board Meeting? 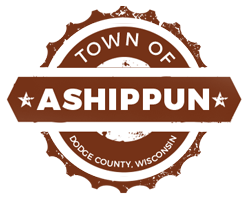 The Town of Ashippun government meets the 2nd Thursday of every month at 7:00 pm in the Town Hall. 2. Where is the Town Hall Located? 1. When does the Town Planning Commission meet? The Town Planning Commission meets the 1st Thursday of every month at 7:30 pm. 1. Where are elections held? All elections are held in the Town Hall. 2. When is the Election? Times and dates will be posted in official notices in the Watertown Daily Times. 3. When will the voter’s registration be? You may register to vote at the time of the election. 4. Where can I request for absentee ballot? To request an absentee ballot please contact the Clerk/Treasurer at the Town Hall – (920) 474-4781. 1. Where can I report problem with the roads? You can contact the Highway Department at 262-443-2480. 1. Does the Town have Sewer System? Parts of the township are served by the Ashippun Sanitary District. 2. Where is the Ashippun Sanitary District located? The physical plant is located in the western part of the township at W2602 Lincoln Road. 3. Who can I contact to check service availability? For information on hookups or to check on service availability please contact Don Kehl (920) 474-7229. 1. Does the township provide supply for curbside pickup of garbage? The Township does not supply curbside pickup of garbage. 2. Who supplies curbside pickup of garbage? Private agencies are available which do provide this service to the town’s residents. 3. When and where is garbage collected? Residential garbage is collected Saturdays from 8am to 1pm at the Town’s Recycling Center located at W2522 Oak Street in Ashippun for a nominal fee. 4. What are the items that can be collected for recycling? The following items are collected at the center for recycling: batteries, aluminum, glass, newspaper, tin, plastic, oil, paint and cardboard. 1. When is the township Spring and Fall Cleanup days? The township sponsors Spring and Fall Clean-Up Days twice a year – the first two Saturdays in May and October. 2. What are the items that the township collect during the clean-up days? The township will collect all types of items for recycling and disposal. 3. Where can I check notices for clean-up days? Please look for notices of the cleanup days in the local papers. Large items should be brought only during the Spring and Fall cleanup days! 1. What is the required age of the dog in order to get license? All dogs over six (6) months of age in the Town of Ashippun must be annually licensed. 2. Where can I get a dog license? The license may be obtained from the Town Clerk/Treasurer. 3. How much is a dog license? The basic license fee is $15. Dogs that have been neutered of spayed pay the reduced fee of $10. 4. What are the requirements to get a dog license? State law requires all dog owners to provide rabies certificate of vaccination from a veterinarian at the time of application for a dog license. No licenses are issued without the proof of rabies’ vaccination. Please contact the Town Clerk for more information.